Thu, 26/02/2015 - 13:24 Elise D.
From now on, you will be able to share your love for the little bot everywhere. 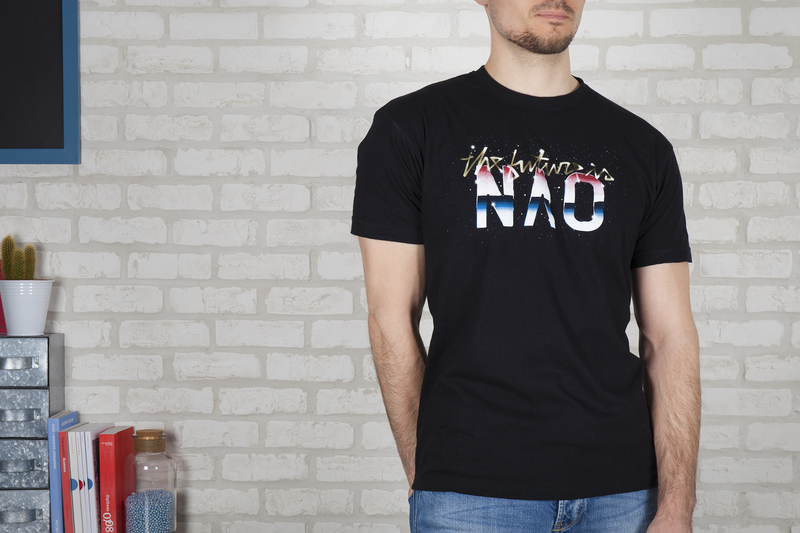 Because, yes, NAO T-shirts are now available on our Fan Shop (and the NAO notebook too since last week). 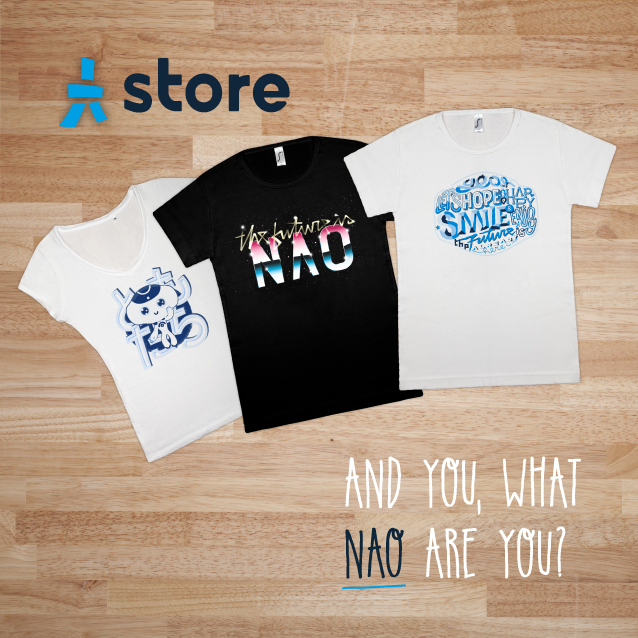 Since every NAO fan is different, we offer you, not one, not two, but THREE different NAO T-Shirts. Each model comes in different sizes. We’ve got T-Shirts for kids from 8 to 12 years old, for men from XS to 3XL and for women from S to XL. They are 100% made of cotton and are very comfy to wear. They also fit either women or men thanks to a special cuts. Our tees can be shipped to Europe, Japan, U.S.A and Canada. Of course, if the size is not correct, you can return them to get the right one. Do not hesitate to have a look to our other products, the NAO action figure and the NAO notebook, on the Fan Shop.